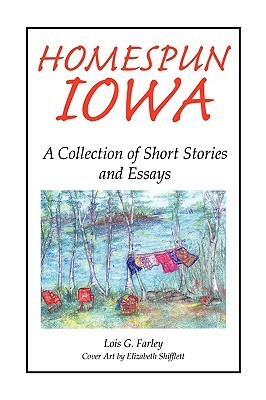 Homespun Iowa is a compilation of short stories and essays. A few were told by my grandmother, born in 1858, some by my mother, who died in 1992 at the age of 95, others by her friends, and mine. Most, however, are personal memories and musings - about ordinary people and animals - everyday events that make up our lives, and give them meaning. Some bring laughter, others tears. There is no violence in these anecdotes. Homespun Iowa is an easy read. It won't put you to sleep, but neither will it keep you awake.